This week’s #AskDrDuizer is all about B12 Injections. 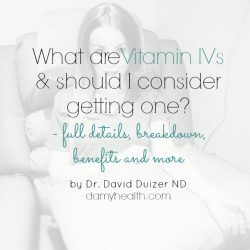 I wanted to get David’s medical perspective on B12 injections, if they are necessary, when they are necessary and who should administer them. But first, as always, I’m going to speak on my experience and then hand it over to Dr. Duizer to get his full breakdown. In my life I have never naturally been drawn to meat. And I’m speaking of my whole life. Before the age of 16 I would naturally, intrinsically limit my consumption of meat and dairy. I didn’t call myself a vegetarian. I didn’t think heavily about it. I just know that I felt physically and mentally better when I didn’t personally consume meat. When I turned 16 I started to think more consciously about it and basically eliminated all meat but still consumed some fish, eggs and dairy. When I started studying for Holistic Nutrition in 2007 I greatly reduced dairy and eggs and completely cut out fish. Over the last 7 years I have slowly become mainly vegan. Once in a while some cheese may come into my diet but not on a regular basis (maybe over the holidays, etc – I’m talking 2-3 times per year). I have not consumed meat or fish in any form since 2007. This is what works well for my body, my mind, my spiritual and environmental beliefs. I do not push these beliefs on anyone but I am definitely open to raising awareness of the positive effects of a high fruit and vegetable diet. All of this is to say that with recovering from my Adrenal Fatigue and receiving Vitamin IVs I also was prescribed B12 injections. I had previously been taking B12 capsules and I wasn’t receiving much benefit from them. If you are vegetarian, vegan or not I would talk to your Naturopathic Doctor about having your B12 levels checked. The reality is it is not just non-meat eaters who are lacking B12 in today’s society. Many of the foods that are readily commercially available to us today are lacking the nutrients that they once did. Having your B12 at the appropriate level can make a world of difference in your everyday life. It is a simple thing that can make you feel so much healthier if you need it. The procedure takes all of 5 minutes, is honestly painless and is really inexpensive. 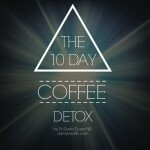 It is an amazing tool in the toolbox of holistic health. One note I will make and this is just a personal observation (and I don’t know if there are any science behind this). There was a difference for me between two types of B12 that I received. One type of B12 that I received was called cyanocobalamin. This B12 injection burned horribly when I received it and was painful for days after. I didn’t feel the great effects that I normally do from my regular B12 shot either. On the contrast receiving my methylcobalamin is basically painless, does not hurt after and instantly makes me feel better. 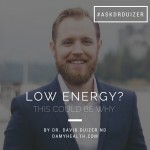 So lets ask Dr. Duizer everything we need to know about B12 shots. 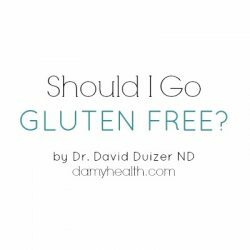 Ask Dr. Duizer – Should I Try B12 Injections? B12 is one of the most popular supplements in the world and it is the one supplement vegans know they should be taking. Outside of that fact I find the knowledge around the use of B12 to be very slim. So many people take it because they know it is safe and good for them but are unsure why. 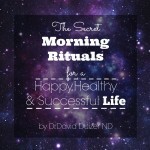 Many people take it and feel immediately energized and believe they need it everyday. One of the most common questions I receive is do I need B12 injections? If so, how often? 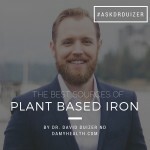 In this edition of Ask Dr. Duizer I will clarify some of the questions and queries surrounding the use of B12 and give some basic information and recommendations about B12 and when to consider the injectable form. B12 is a water soluble vitamin involved in many human metabolic reactions. It is essential for the function of our cardiovascular, nervous and immune systems. Without it our cells within these systems become less efficient and we can feel extremely fatigued and run down. What are the differences between available B12 supplements? Methylcobalamin is the active coenzyme form of B12 in the body. When looking for a supplement this is the form you should be making sure is present. When going in for an injection you should ask your physician specifically for this form as it is the most readily utilized form for your body and needs no conversion by your system. Hydroxycobalamin and cyanocobalamin both need to be converted by the body into methylcobalamin to become active. This extra step can cause problems for people who may be poor converters. In addition, when using cyanocobalamin as an injectable patients have reported increased levels of pain on injection than with the other two forms. The injection seems to be more uncomfortable and reports of soreness around the injection site for longer than 24 hours are not uncommon. With that being said bacteria that may be present on our vegetables have been known to produce small amounts of B12 (giving some B12 availability to our veggies). This B12 is not reliable or consistent enough to be sufficient for vegans and supplementation is still recommended. B12 is also present in nutritional yeast which is a cheesy flavoured yeast used as a topping for many different dishes. The levels present in nutritional yeast also greatly vary making it an unreliable source. What and Who is B12 important for? B12 is not just important for those who do not consume animal products. There are many situations and clinical conditions where B12 can be beneficial. I have listed a few in the clinical section below. People who consume animal products may be still be suffering from situations like low stomach acid, gastric bypass surgery, gastrectomy, inflammatory bowel disease (like crohns and colitis) and h. pylori infection which all may cause B12 deficiency. In addition as we age we tend to produce less gastric acid resulting in less B12 absorption. Because B12 is so important to so many different systems a B12 deficiency can present itself in many ways. 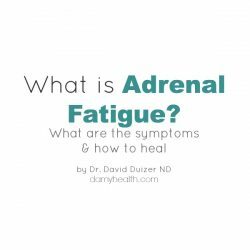 The most common symptom is general fatigue but anxiety is also common. Who needs supplemental B12? What conditions can benefit from B12? A deficiency in B12 causes a form of anemia called megaloblastic anemia which is unrelated to iron status. This condition can make you feel extremely fatigued. Clinically B12 can be extremely beneficial for people suffering from many different conditions. It is so important to general metabolic function that there are many situations where high doses are indicated. What are some of the causes of B12 deficiency? Certain drugs can deplete B12 levels in the body or reduce absorption as well. How much B12 should I take and should I consider B12 injections? 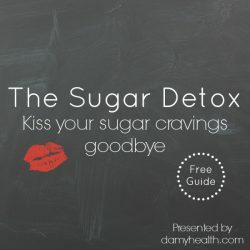 If you have been recommended B12 from your healthcare provider your dosage and frequency will depend on how depleted you are, how long you have been experiencing symptoms, whether or not you have a condition that could benefit from higher doses, if you are a vegan, what your absorption status is and many other factors. The point is it depends on your situation. If you are deficient in B12 and are a poor absorber you may be a candidate for B12 injections. These injections are intramuscular and usually done into the muscle in the shoulder. They provide the body with a high dose of B12 that is slowly absorbed into the blood stream from the muscle. This eliminates the need to absorb B12 through your digestive tract. This is the easiest and most effective way of taking B12 and benefiting from the entire dose. The cost of a B12 injection can range from $15-30 and they should be administered by a medical professional. If you are suffering from any of the symptoms/conditions listed above or are currently taking any of the medications listed B12 may be indicated for you. Talk to your Naturopathic Doctor about dosing frequency and form that would be most suitable to your situation. 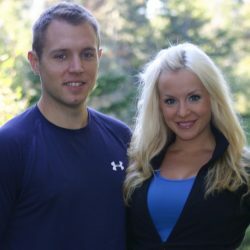 For those who are deficient in B12 after receiving the proper dosage the results can be incredible and even life changing.